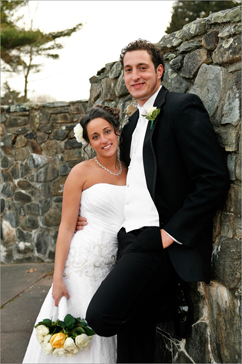 Providence, Rhode Island is one of the most popular cities for wedding photography in the New England area and it contains countless scenic locations for your wedding photography session. Begin your photo shoot at the luxurious Renaissance Providence Hotel. After your photographer takes some group photos with the hotel’s ornate exterior as a backdrop, walk inside and you’ll find a chic and stylish lobby. The lobby’s luxurious chairs and couches will work great for some relaxed, laidback photos. Have your photographer assemble the bridal party beside the charming fireplace for a gentlemen’s photo or a girls-only shot. Once you’ve finished at the hotel, take a short stroll around the block to the Rhode Island State House, a magnificent marble structure built in the neoclassical style. Your wedding photographer can organize a portrait of the bridal party on the State House steps or on the plaza in the foreground of the building. 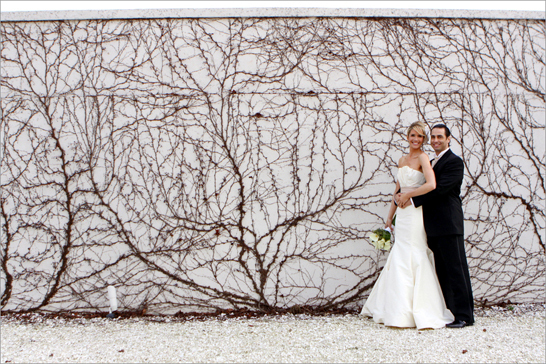 The arches at the building’s entrance will serve as a great backdrop for a photo of the bride and groom. Enter the building from the south side and you’ll find yourself inside the gorgeous Bell Room, whose immaculate steps and towering columns will provide the perfect backdrop for any kind of wedding photo. To conclude your wedding photography session, take a short limousine ride over to Providence’s famous Roger Williams Park, named for the city’s founder. Once inside, you and your bridal party can take a leisurely stroll through the park as your wedding photographer takes some candid snapshots. After you’ve finished wandering along the park’s walkways, the bride and groom can pose on any one of the park’s little bridges, which cross the river. The adventurous couple can even rent swan-shaped boats and paddle across the water for some fun-filled wedding photos! You won’t regret having visited this “Jewel of Providence” as part of your wedding photography session! Providence is also home to two of the most beautiful university campuses in the Northeast, those of Brown University and Providence College. Situated only a few minutes away from each other, both campuses offer numerous picturesque locations for your wedding photography session. Start off your photo shoot at the latter campus in front of Harkins Hall, where your wedding photographer can organize a portrait of the bridal party on the verdant front lawn or right beneath the arched entrance. The benches at the front of St. Catherine of Siena Hall will work perfectly for an intimate photo of the bride and groom. The courtyard of St. Dominic chapel is another great spot for a private portrait of the happy couple, as is St. Dominic Hall - located at the center of the campus. These are just a few of the many locations you’ll explore at Providence College during your wedding photography session. Only two miles from Providence College you’ll find the campus of Brown University, one of the oldest higher learning institutions in the entire country. Your wedding photography can begin shooting on the expansive lawn in front of University Hall, the first building ever constructed on this Ivy League campus. Then take a short walk over to the John Hay Library, whose English Renaissance exterior will serve as a tasteful backdrop for a bride-groom photo. Venture over to the Beaux-Arts style John Carter Brown Library, where your wedding photographer can stagger the bridal party along the front steps or arrange the bridesmaids and groomsmen beside the structure’s majestic columns. The stunning Manning Hall and Robinson Hall are also beautiful wedding photography locations for you and your bridal party to explore. For a perfect blend of urban cityscape and natural settings, visit Providence’s Waterplace Park for your wedding photography session. The prized gem of downtown Providence, the park provides almost an entire mile of cobble-stone paved walkway (known as the Riverwalk), along which the bridal party can lazily meander while the wedding photographer works the camera. Waterplace Park also contains a wide lush green lawn that is great for large group photos or for a shot of the frolicking bride and groom. 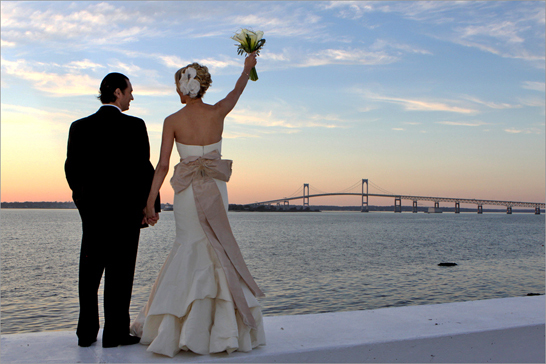 Have your wedding photographer arrange a portrait of the bride and groom on one of the docks that reach out toward the water. The park’s amphitheatre is also a wonderful, cozy location for a private photo of the bride and groom. Finally, your wedding photographer can organize a portrait on one of the miniature crossing bridges with the expansive urban cityscape (including City Hall) in the background! You don’t want to miss this treasure during your wedding photography session in Providence, Rhode Island!